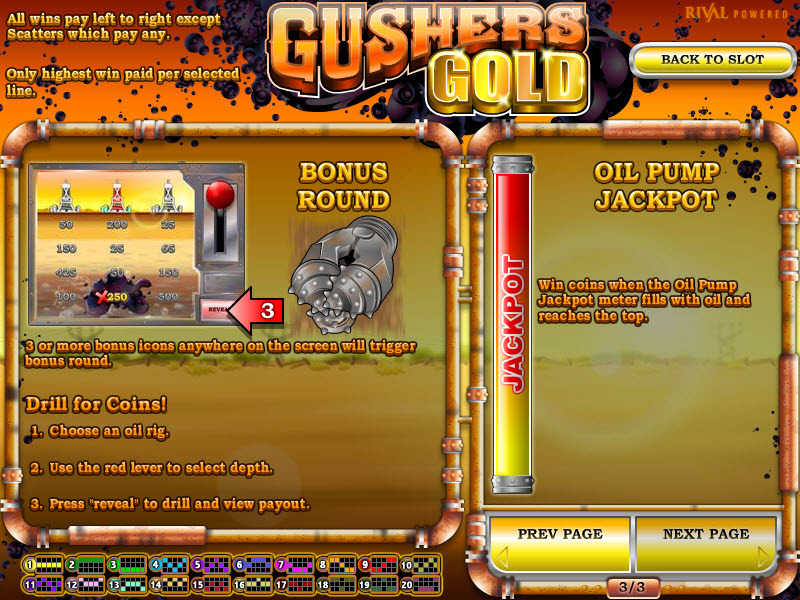 Overview: Set up your rig and drill for oil with Gushers Gold, Rival's latest 5 reel slot. 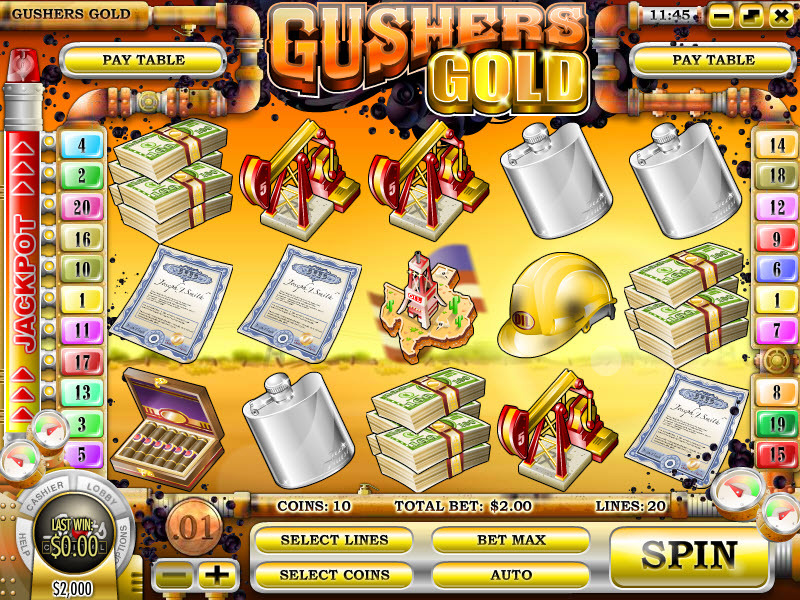 The Tycoon has his cash and land deed in order and is ready to search for oil. 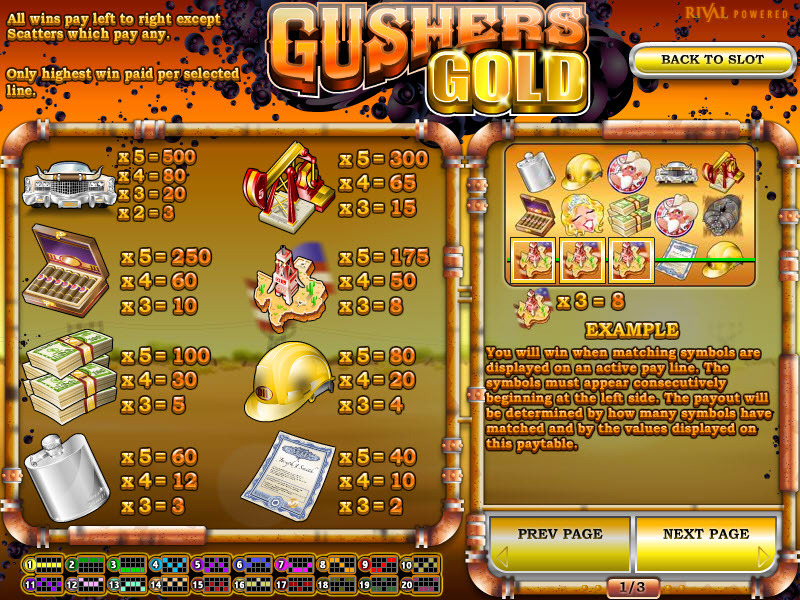 Images represented include a pageant winner, flask, cigar box, oil pump, safety helmet, and the "Wild" oil barrel. 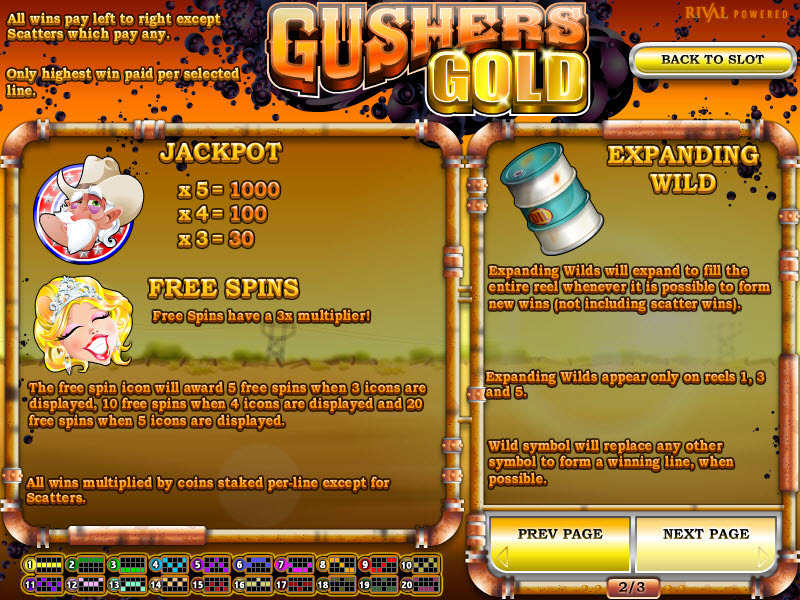 Similar Slots: If you like Gushers Gold, you might like these other Rival video slot machines: Arabian Tales, Atomic Age, Fantasy Fortune, So 80's, Whale O' Winnings, Winter Wonders.